photo: 25 students of medical college are injured in a road crash on Dhaka-Chattogram highway in Mainamati cantonment area on Saturday night, Dec 8, 2018. 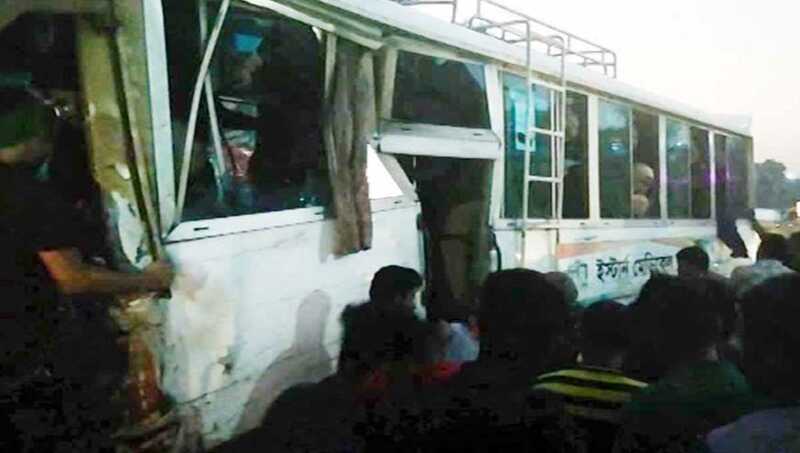 Cumilla, Dec 9 : At least 25 students of a private medical college were injured in a road crash on Dhaka-Chattogram highway in Mainamati cantonment area on Saturday night. Highway police seized the vehicles.